"Whenever you need us, we're just a hug away!" Are you looking for an alternative to checking your pet into a kennel? Do physical limitations prevent you from exercising your pet? We can help! We currently service Canby, Wilsonville & Aurora. ​Welcome to Abundance of Love Pet Services, LLC! Abundance Of Love Pet Services, LLC was created out of the desire to provide an affordable, loving alternative in meeting your pet's needs. Every animal we take care of becomes apart of the "Extended Family", which means they are handled with care, treated with respect and provided an Abundance of Love! We service Canby and the local surrounding areas. We offer Pet Care in your home in which we check in on your pet and your home while you're gone. We offer Overnight Pet-Sitting in your home: This is where we come to your home and stay with your pet overnight to provide that extra sense of security to both your home and your pet. We also offer Dog Walking, Pooper Scooper Service, Livestock feeding and more! If you have a specific need just ask. We are always willing to give something a try. We are here to assist you in whatever way we can, to ensure your pet is taken care of, and provided with an Abundance Of Love! ​​Lots of ideas were welcomed last night at the public info meeting located at the Wilsonville Community Center regarding the Wilsonville Memorial Park Dog Run. Did you know based on the size and design of the park, it is designated as a Dog Run instead of a Dog Park. The desire of the Wilsonville Parks and Recreation Department is to have a place where dogs can run and run and...(you get the idea). The timeline for the new Dog Run located next to the Community Garden off of SW Schroeder Way has been extended, with construction beginning July 2019 (new fiscal year for Wilsonville) and completion by end of this year/beginning of 2020 due to budget limits. There is still talks of reinforcing the current pedestrian bridge to allow vehicles to access the park from SW Kolbe Lane. The Parks and Recreation Department was very warm and welcoming at last night’s meeting and encouraged participants to speak up and offer suggestions regarding design, and amenities. They plan to keep the park similar in size to the original location, which will include a small dog area and a large dog area. Both Dog Runs will be separated by a walking trail to allow smaller dogs the opportunity to play without fear of big dogs directly on the other side of the fence. The department will be installing a single stall bathroom and a dog washing station. An attendee asked if the water would be warm in order to use year round and the department said they would look into that. The department also stated that they do not plan to have the large gate like the old park does since it can pose a risk to the dogs in the park being able to run out of the park when someone is coming or going through it. Instead the new location will only have double entry gates. Additionally, there is a plan to incorporate benches and a shelter, just like the original location. They are also aware of the drainage issue surrounding the water fountain in the middle of the park and are currently brainstorming ideas as to minimize water and mud. One idea is to possibly elevate the fountain on a mound of soil to allow water to drain down. The Parks and Recreation Department has a desire to create a “Bark Board”, a Dog Run advocacy group. The group, comprised of volunteers, would meet once a month and help with maintenance, report issues, and possibly volunteer at events. ​Did you know that by keeping your dog’s nails trimmed it can actually keep their feet dryer? When nails are long, it forces your dog’s paw to spread out more, which in turn exposes the inside of the pad and in between each toe. With the potential for snow in the forecast, it’s important to know how to properly care for your dog and their feet. If you are planning on a long walk or numerous trips outside through Ice or Snow, it’s best to use "booties" on your dog’s feet to minimize chances of chapped, irritated and/or itchy paws. Sweaters and coats are also good to use to help your dog maintain it’s core temperature but don’t rely on it completely. Their head, ears, tail and feet are still exposed which can result in lower body temperature if they become wet and stay outside too long. Dogs can get frostbite and hypothermia just like humans, so keep your walks to a shorter time frame, especially if they are not used to being out in colder temperatures. Consult your veterinarian right away on the proper course of treatment. If you’ve walked through areas where ice melting chemicals or salt has been used, it is important to immediately wash your dog’s feet with warm water and mild soap after you come back inside. Make sure to wash in between the paws (and belly if you have a shorter dog) as well. These chemicals can cause skin irritation and if ingested can be harmful. Also, do not allow your dog to drink from puddles of water or melted snow that is near any area that may have had de-icer used nearby. Antifreeze is also deadly to animals. Make sure to immediately clean up any spills. Click here to get step by step instructions on how to clean it up. Rule of thumb (or paw) is to always dry off your dog’s feet when coming inside from a wet environment. Now offering 15min Mid-day potty breaks! Do you have a puppy or perhaps a senior dog that needs to go out during the day while you work? Do you have a dog that is high energy that needs extra exercise? ​Did you know that running the sprinklers to dissolve your dog waste is not safe? In 1991 the Environmental Protection Agency (EPA) labeled dog-waste a Non-Point Source Pollutant which resides in the same category as Herbicides and Insecticides. 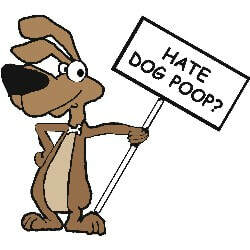 Even worse is that dog waste can contaminate your soil and water for years if it is not picked up in a timely manner. Diseases such as Roundworm are especially contagious to both dogs and humans. Other diseases such as Ringworm, Giardia, and E. Coli have the potential to be caught by your dog again, even after they were treated and flushed it out of their system. Click here to check out the different services available! The highest form of flattery a small business can receive is the recommendation to those you know. We believe in promoting small businesses and we like rewarding customer's who believe in us. For every new customer you refer to us, you will receive 10% of their first booking with us in PetCare credits.